Ultra-filtered, quality whey protein isolate, perfect for post-workout protein shakes. 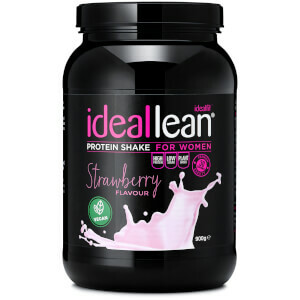 Why use IdealFit Protein Powder for Women Mini? Higher in protein and lower in fats and sugars than many of our competitors' entry-level protein shakes (we use whey protein isolate rather than whey concentrate), our female nutritionists have further enriched IdealFit whey proteins with vitamin D and calcium to support healthy skin, teeth and bones and pantothenic acid to support mental performance throughout the day. Further, added L-glutamine can support bouts of intense physical activity. Lastly, the Mini tub is easy to throw in your gym or work bag to make sure you can keep on top of your macros on the go. Whey protein isolates can be easier to digest as they are filtered to contain less cholesterol (as well as fat and sugar) than whey concentrate powders, ideal if you are lactose intolerant. Along with regular resistance training, the increased protein concentration of whey isolate powders can contribute to improved muscle maintenance and growth. Add one scoop (30g) to 200ml of water and mix thoroughly. Consume after exercise on training days or throughout the day on non-training days. Whey Protein Isolate (73%) (Whey Protein Isolate (Milk), Emulsifier (SoyLecithin), (Flavouring, Sweetener (Sucrolose), L-Glutamine, Calcium Carbonate, Vitamin Blend (Pantothenic Aacid, Biotin, Vitamin B6, Vitamin B12, Thiamin, Riboflavin, Folic Acid, Niacin), Acai Powder, Blueberry Powder, Mangosteen Extract (4:1), Vitamin D3, Chromium Picolinate . 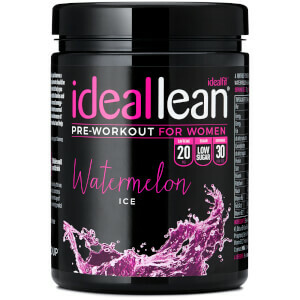 Love Ideal Lean protein - yummy flavours, easy to mix, not too thick and heavy like other protein shakes. High protein with low carbs, fat & sugar plus extra vitamins & minerals - nothing not to love. Perfect for after the gym to help muscles recover and as an on the go snack. The small tubs are the perfect size to pop in your gym bag. Highly recommend from a Personal Trainer! Perfect for travelling and taking to the gym. Love this product! Not bulky and tight seal means no spills like other brands who use pouches. Great for the gym and with 10 servings great for travelling. Love that it offers a variety of flavours. Perfect size to keep in my gym back or take to work. Not too clunky. Choc mint is my fave!